And there’s something comfortable about Cincinnati Shakespeare Company; there’s an inclusionary feel to the place . . .the same folks act, serve, volunteer, and attendees are there, it seems, every opening night. Jennifer Joplin is often behind the bar is one of the warmest personalities in all of Cincinnati theatre. It’s just nice. Inherently, a good farcical comedy is anything but comfortable. The best moments come from the awkward suspense of what chaos is about to unfold when discoveries are made or as tension between characters build. As luck would have it, Amanda is also on her honeymoon with her new groom played by Brent Vimtrup. Mayhem ensues and I won’t ruin it for those of you who don’t know the story. I enjoyed myself very much. I think we all know that Kelly Mengelkoch can act; she’s moved me to tears more than once. But who knew she was this funny? With a wicked sense of humor she gives sly looks as if she’s having the most fun ever. Her real life husband, Jeremy Dubin, is equally funny with a smarmy charm. What a tremendous romp. This is a well directed show; D. Lynn Meyers has come down the street and over a block or two from Ensemble Theatre to helm this uproarious comedy. The audience roared with laughter for most of the play and it was certainly a fun atmosphere. 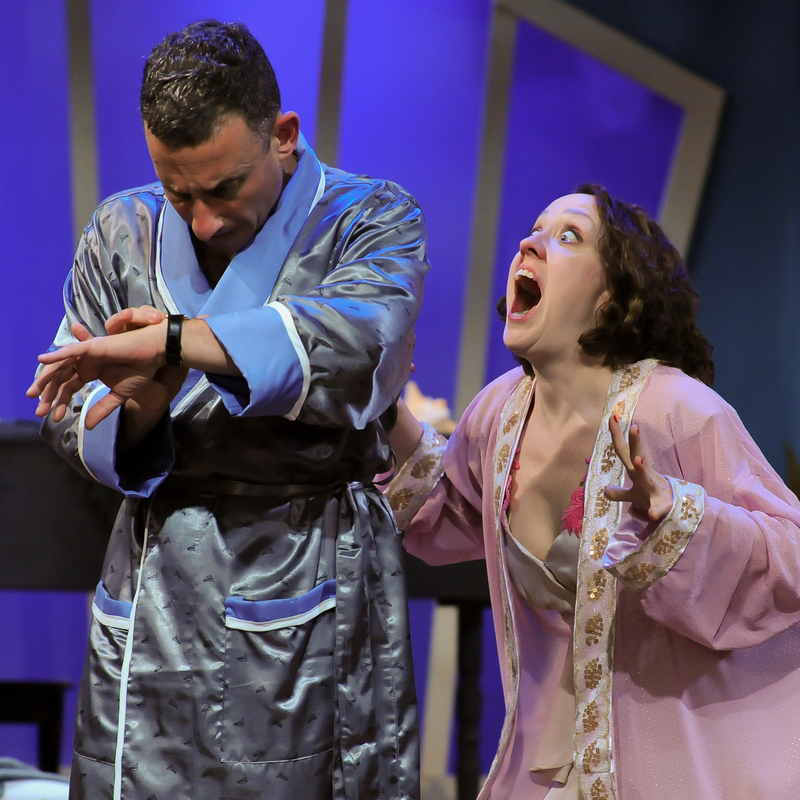 I highly recommend you check out PRIVATE LIVES; the awkward farce meets the pleasant comfort of Cincy Shakes. I like it.